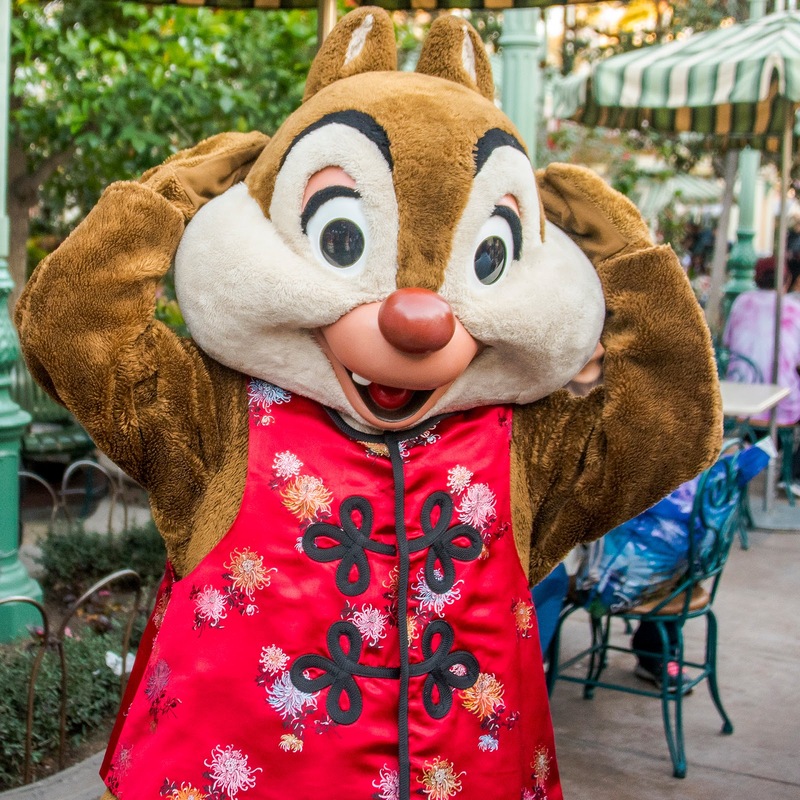 The Lunar New Year celebration at Disney California Adventure provides an opportunity for Disney characters to dress in traditional Chinese garb. 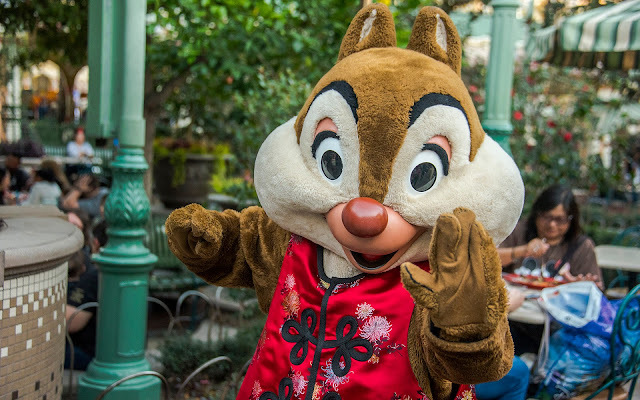 And in the case of Chip and Dale (and in particular, for today's post, Dale), it lets them ham it up for the camera even more than usual. 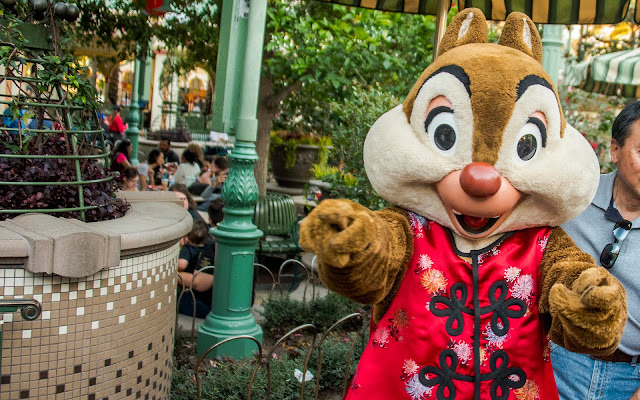 In this case, I was walking through the Boardwalk restaurants area when I spotted Dale interacting with guests. I called out to him, and he was more than happy to oblige my lens by demonstrating a variety of martial arts moves. It's the silliness of the chipmunks that spreads an infectious glee and energy. 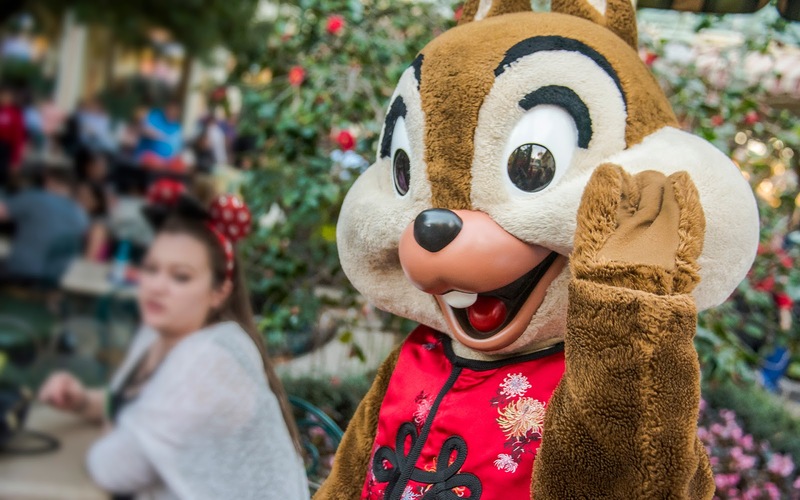 And after his little demonstration, he gave a cheerful wave and was off, no doubt to bring a smile to another guest.